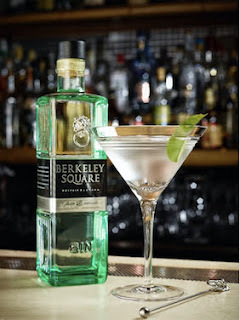 Celebrate an elegant and sophisticated Valentine’s with Berkeley Square Gin. Berkely Square London dry Gin is one of the world's most luxurious gins, distilled by hand in small batches since 1761. The hand-picked botanicals, including Kaffir Lime, lavender and basil, ensure that Berkeley Square makes the Classic Martini. The ultra-smooth taste of the gin, with the surroundings of one of Mayfair's most opulent bars, is the combination for a date-night to remember. Visit The Stafford or The Ritz for a Berkeley Square Classic Martini this Valentine;s Day. If you intend to stay at home on February 14th, a bottle of Berkeley Square Gin makes a luxurious gift to be enjoyed within the comfort of your home. Available to purchase from Harvey Nichols and Hedonism Wines.